Decay may or may not cause discomfort; even when it doesn't hurt, a decaying tooth is still deteriorating. Using high magnification and powerful lighting, it is easy to detect decay at an early stage to prevent excessive tooth damage. 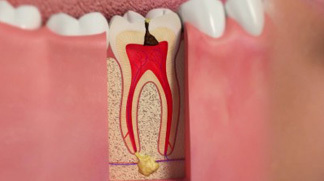 When cavities are small, they are much easier and less expensive to treat. Since I have been looked after by Dr Nishan Dixit, I feel my teeth are generally in a much better shape, clean from decay and regular follow ups has allowed early treatment and prevention of potentially bigger treatments. I feel very safe and welcomed by the staff.